We live in a culture where health and self-acceptance are synonymous with body size. Losing weight is treated as a life achievement and body bashing or “fat talk” has become a normative way to connect. We have lost sight of the complex stories each individual body holds. 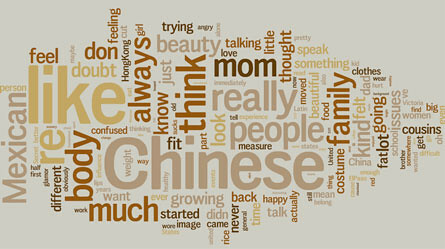 How do we feed, celebrate, criticize, care for, perceive and experience our bodies? Body Stories is an initiative to document and share oral narratives on body experience. These stories shed light on the multiple ways in which we come into a relationship with our bodies -- the ways in which gender, race, sexuality, age, ability, class and ethnicity are central aspects of embodiment. 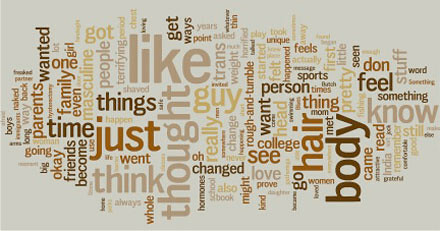 Below is a sample of the narratives this project collected. These stories depict a range of body experiences and beliefs. 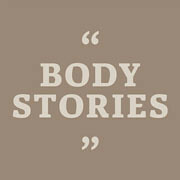 In listening to these stories, you are invited to reflect on your relationship with your body and share your own story. "My name is Flor Pagan." "If my heart could sing, this is where the songs would come." 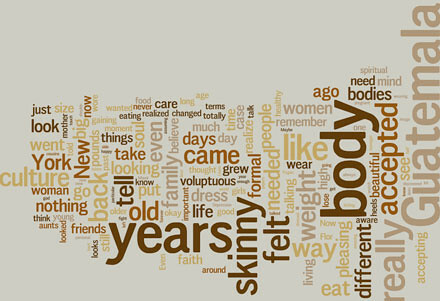 What messages have you received around health, weight and beauty throughout your life? How and when did you learn about what constituted a “good” body? Where are you today in your body story? What do you hope for your future? * Please Note: All stories will be edited for content. Please refrain from using numbers to tell your story (example: I weighed x and then lost x and now weight x). These stories are a safe and inspiring place to help us broaden the dialogue around body experience! Sarah Lewin, LMSW, has been studying body politics and works to create community around size diversity. Now studying with The WTCI, she is pursuing this story project as part of her ongoing interest in the power of narrative and embodiment. Contact her at SharingBodyStories@gmail.com. Special thanks to The Women’s Therapy Centre Institute and Endangered Bodies, Athena Villarreal for website design and social media support, and Tarek Fouda for audio editing. 'Like' our page on Facebook!